Hello everyone! I hope you all will be absolutely fine and having fun. Today, I am going to explain you about Introduction to TL431. TL 431 are programmable shunt regulator diodes having three terminals. Its a low temperature coefficient diode and can be programmed from reference voltage (Vref) up to 36V when it is attached to 2 external resistors. 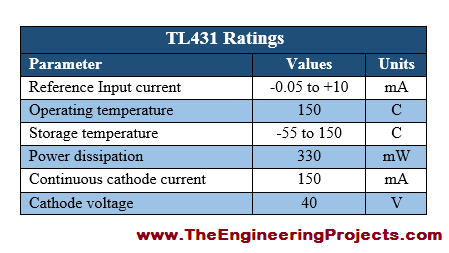 TL 431 has an impedance of 0.22 ohms and has a current range from 1mA to 100mA. In several different applications zener diodes can be replaced with TL 431 diode due to its efficiency. These applications include power supplies, Operational Amplifier (Op-amp) circuitry and digital voltmeters. TL-431 can either be used as positive or as negative voltage reference because it operates as shunt regulator. TL-431 has low output noise voltage. It is lead (Pb) free, halogen free and RoHS compliant. Further detail about TL 431 e.g. its features, characteristics and pin configuration will be explained later in this tutorial. 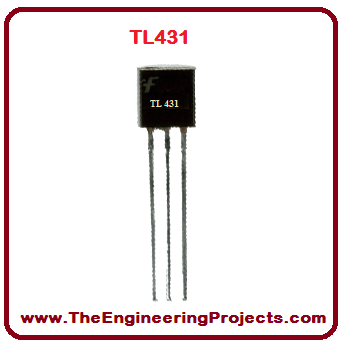 TL431 is a shunt regulator diode and hence it can be used as either positive or negative voltage reference. It has a low output noise voltage. TL-431 can be replaced with zener diodes in many applications e.g. digital voltmeters, operational amplifier circuitry, power supplies etc. TL-431 is shown in the figure below. 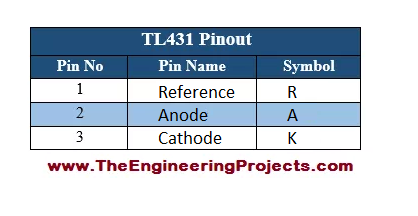 TL-431 has three pins in total i.e. Reference, Anode and Cathode. All of the three pins along with their symbol are given in the table shown below. A properly labeled pin diagram of any device results in better standing of the user. I have made a completely labeled diagram of TL 431 diode along with its animation. 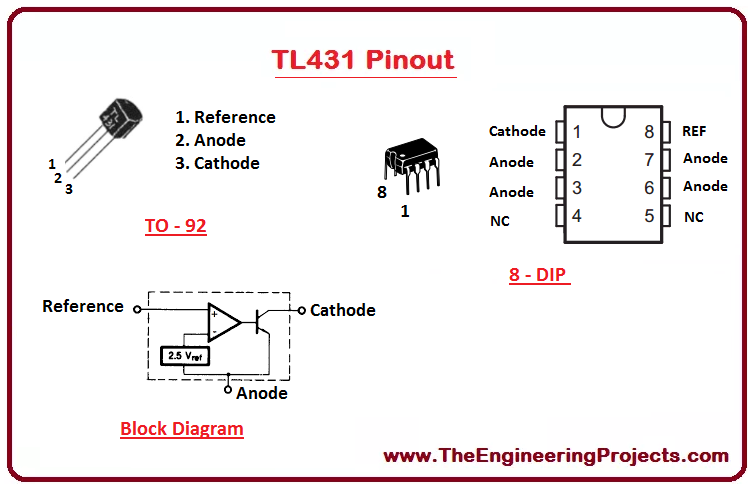 The complete pinout diagram along with animation, symbolic representation and the real image of TL-431 is shown in the figure below. TL-431 has two different type of packages SOT-23(3) and SOT-23(5). Both of theses packages along with their dimensions and part number are given in the table shown below. The schematic diagram of a device helps us to understand its internal functionality. 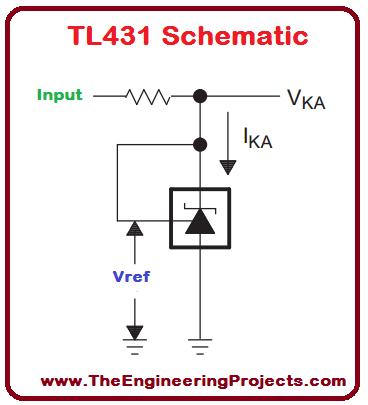 I have provided the labeled schematic diagram of TL 431 as shown in the figure below. The current, voltage and power ratings of any device shows its power requirement i.e. how much amount of current and voltage is sufficient for its operation. I have provided TL-431 current, power and voltage ratings in the table shown below. There are a lot of applications associated with TL-431, a few of TL 431 real life applications are given below. Also is more comparable to a mosfet in its switching characteristics. Hello, can you make TL431 component library for Proteus 8?